“No farms, no food” is no joke—the city and the country need each other. It all comes together at the farmers’ market, where people who grow more than they eat and people who eat more than they grow meet up to make each other’s lives possible. Vital vittles trade for cold cash, and everyone goes home happier. Food tastes best when it comes from the hands of the farmer who grew it. So grab your market bags and meet a few of the growers who will peddle their fruits in town this summer. On a Preston County mountain, looking out over their sprawling farm, brothers James and Darwin Stemple agree: Fall is their favorite season to cultivate this particular hilltop patch. 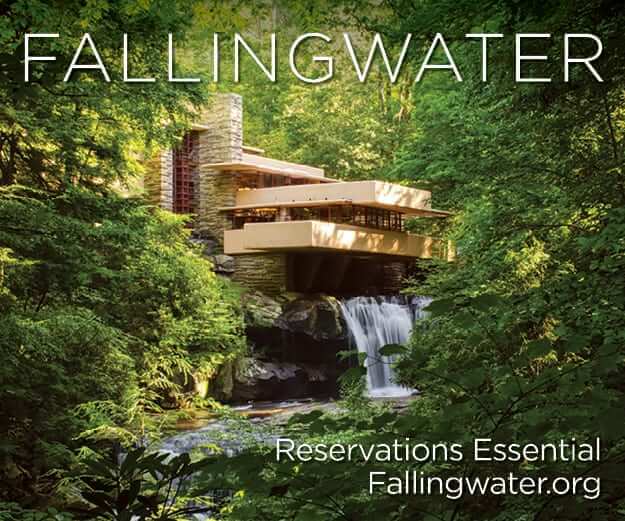 As they describe how fall foliage lights up the expansive view, their love of the land and their work shine brighter than the blazing maple leaves in their verbal image. As third-generation farmers, the Stemple brothers’ roots in local agriculture run deep. They garden on three of their 415 acres, leaving much of the 120 cleared acres to pasture for livestock. Gardening on the mountaintop gives them a jump on the growing season—late frosts settle in the valley, leaving mountaintop crops safe with about a 10-day head start. 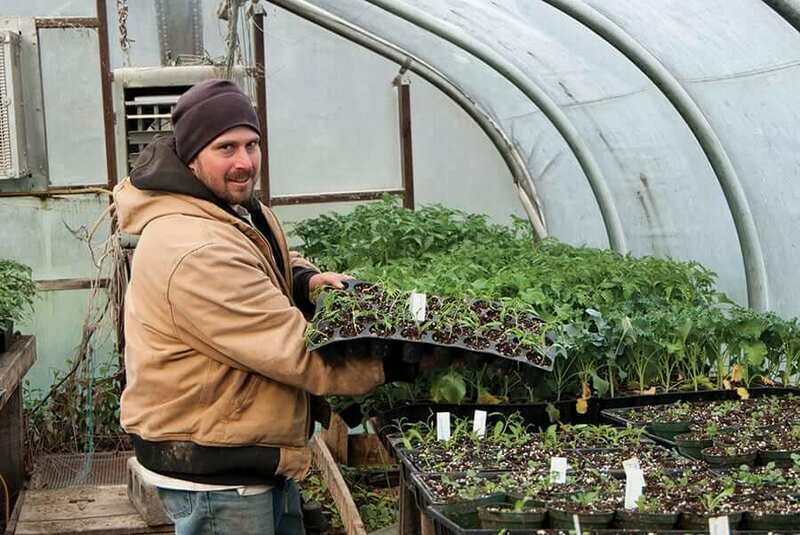 High tunnels and a greenhouse also help the brothers extend their growing season. Beef cattle rotate through the pastures below the hilltop garden. Sheep, geese, turkeys, rabbits, chickens, ducks, bees, and barn cats also have space on Stemple Brothers Farm. James and Darwin raise some of these animals for meat, but others are farm fixtures, with the honking geese serving as guard animals. This year, the Stemple brothers tapped a natural resource on their farm: Boiled down to syrup, the sap of the maple trees on the mountains makes for a sweet addition to their produce and meat products. Beehives provide another sugar source. Beekeeping inspired James and Darwin to move fully to organic farming and to consider pursuing organic certification to add to their good agricultural practices, or GAP, certification. Bees thrive when the plants they pollinate are free of agricultural poisons. 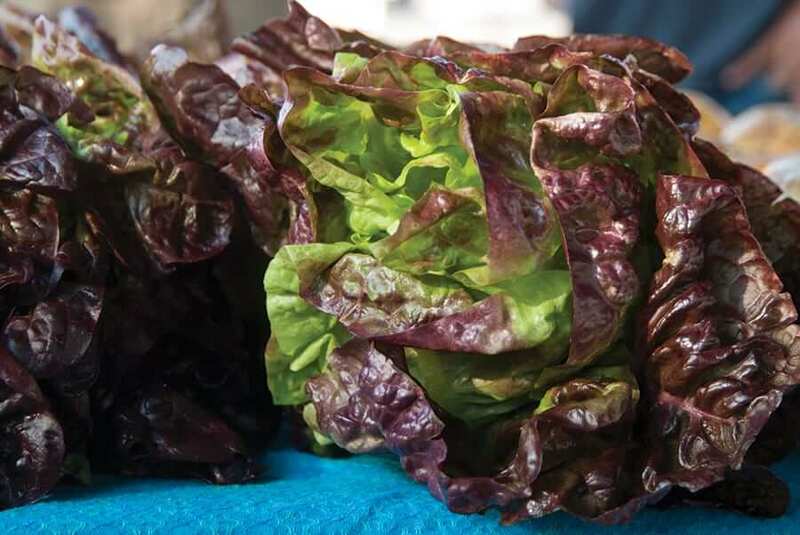 Seeing a need in the community for larger-scale access to small-scale farm produce, Darwin helped to establish the Preston Growers Co-Op, which sells farm fresh food to residents and school systems. Sky Harman’s Australian Shepherd mix, Moses, needed a job. Harman tried training him to be a herder, but that career path was a dead end for the pup. Still, “the moment I got him onto a farm, I realized what I’m supposed to be doing,” Harman says. To fulfill this calling, he established Harmony Farm in 2012. 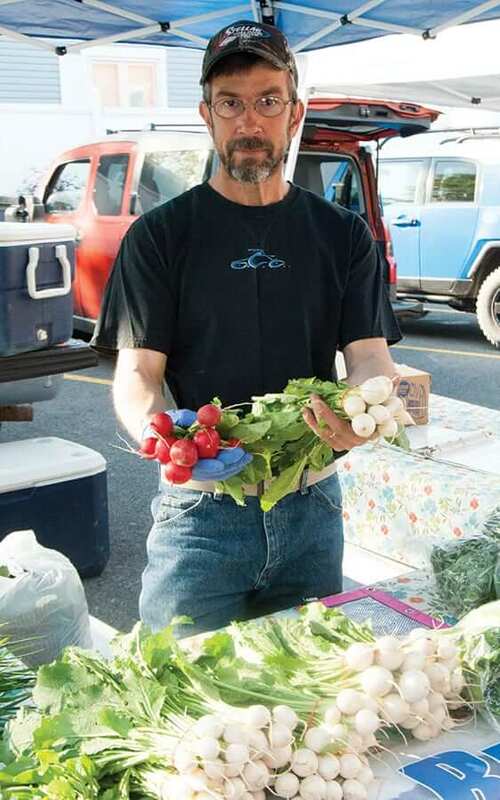 On not quite four acres in Cheat Lake, he raises a variety of produce aimed at self-sustainability—spiritual and emotional as well as in his fridge. An equal priority for Harman is to better society through access to healthy food. The first step is to produce the healthy food. Harman raises robust and healthy plants using foliar feeding with seaweed extract, fish emulsion, calcium phosphate, compost teas, and other supplements. Applying nutrients to the leaves of plants can make for fast and effective absorption. He also adds natural nutrients to the soil. 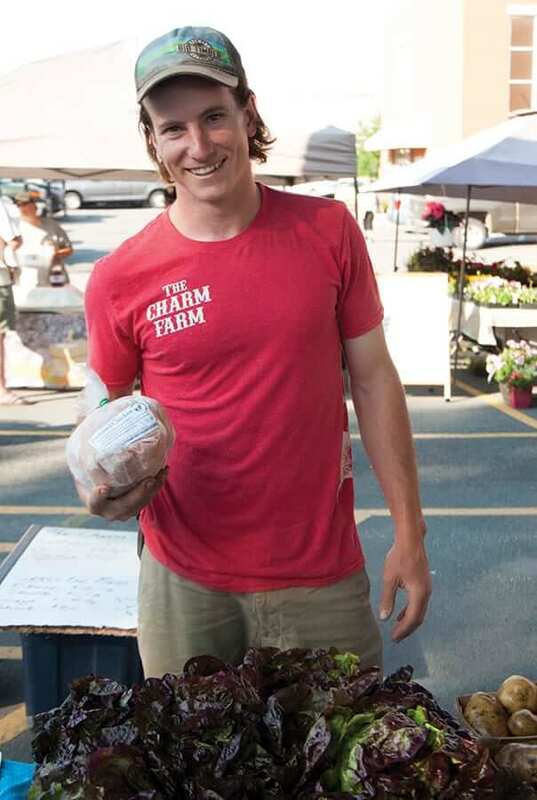 Besides a wide variety of vegetables he grows in the field and in high tunnels, Harman also raises chickens and bees, and this season he’s trying his hand at mushrooms and ginger, too. He’s also producing value-added products like sriracha sauce, tomato products, pickled peppers, and other preserved produce. Harman volunteered in Puerto Rico over the winter to rebuild farms destroyed by hurricanes. 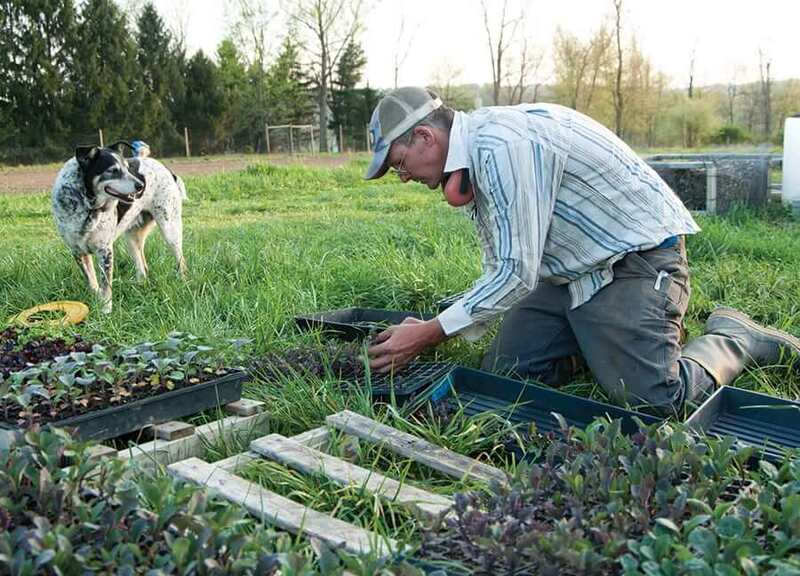 Now that he’s back and cultivating his own farm, he says he’s “figuring out how to make our food available to low-income people—low-income and underserved.” A step toward that this year is to offer low-income shares in his Community Support Agriculture operation, or CSA. “I learned how to garden with my grandmother,” Kathy Evans says. Her grandfather taught her to repair and use farm equipment. Evans uses all of that knowledge farming with her husband, Reid, on Evans Knob Farm in Bruceton Mills. The land has been actively farmed by four generations of the Evans family, and Evans says she is “tickled pink” to be teaching her grandchildren how to farm when they visit. The Evans women have farmed while their husbands had jobs off the farm. Evans hopes her granddaughter will take to farming and continue the family tradition. Running the 130-acre family farm is no small task. Three acres are devoted to vegetable gardens, about 30 acres to woodland, and the rest is divided between pastures and hay production. Seven beef cattle, two dairy cows and a heifer, 27 ewes and rams, and 32 lambs enjoy the rolling pastures. More than 700 broiler chickens, meat rabbits, layer hens, khaki campbell ducks, and dogs and cats are also at home on the farm. The sheep provide both meat and wool. Evans shears and processes the wool into yarn, hats, scarves, gloves, rugs, felted ornaments, and other fiber art. 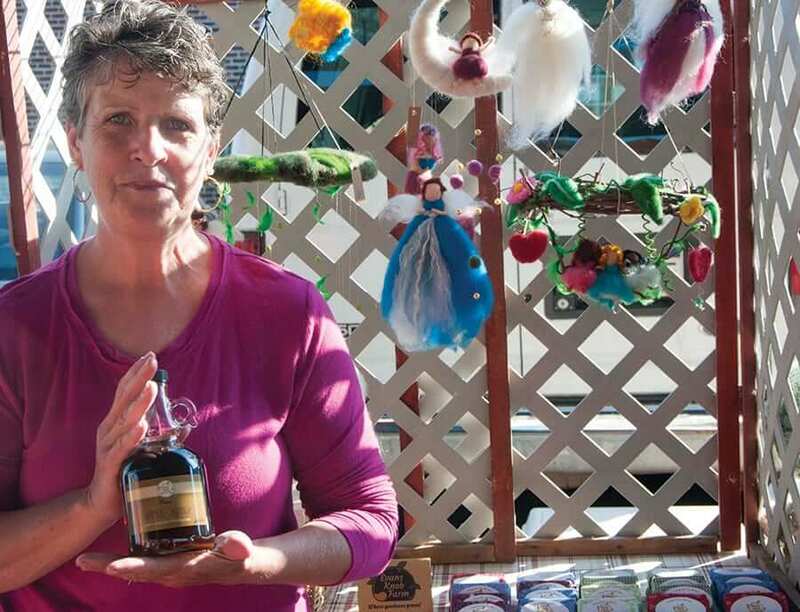 Her felted sculptures and ornaments have seasonal themes such as chicks and ducklings in the spring, pumpkins and pilgrims in the fall, and Santa and stockings in the winter. 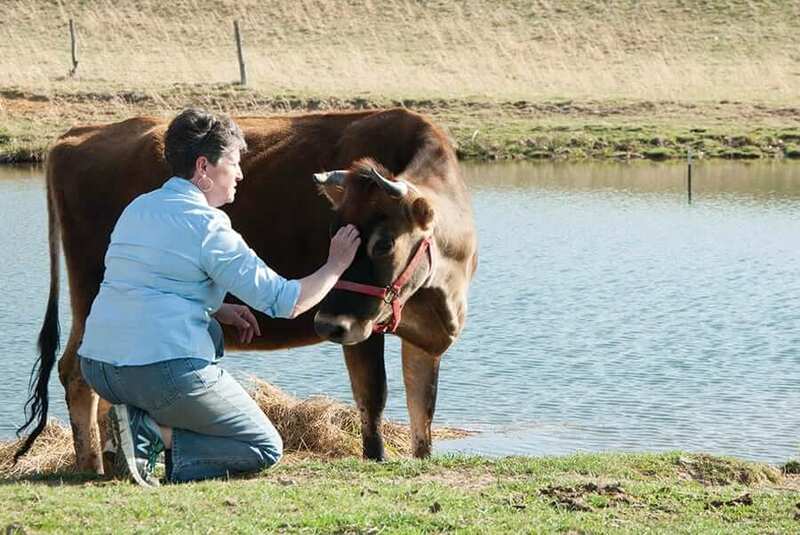 Evans also makes handmade soap using her Jersey cows’ milk and locally grown herbs. This spring, the Evanses added maple syrup to their production after a family friend built a syrup evaporator for them. They’ve been bringing their farm products to the Morgantown Farmers Market since the market first opened about 16 years ago. They also offer CSA shares. While their mix of products has varied over the years, their dedication to organic farming has remained steady. Evans Knob Farm was certified USDA Organic for many years but gave that certification up in 2013 and opted instead to become Certified Naturally Grown—a farmer-to-farmer rather than a government certification. 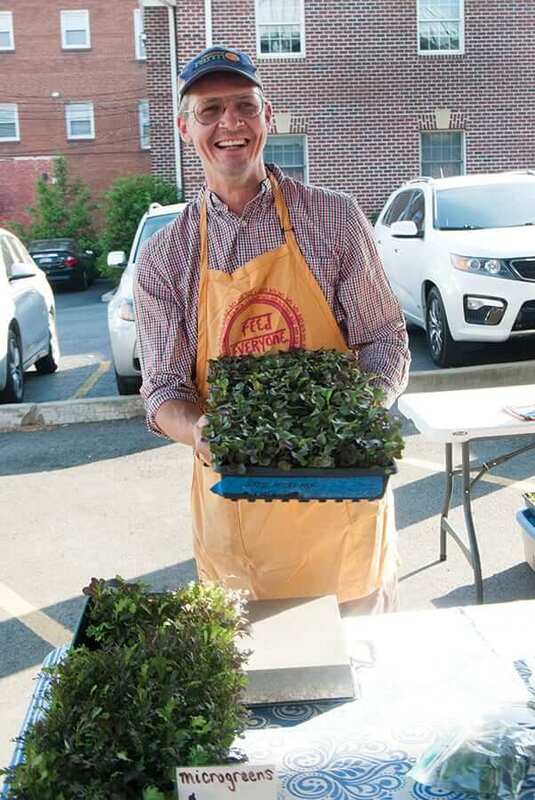 This commitment to the small-scale farming network goes hand in hand with their love for the Morgantown Farmers Market. Mike Kwasniewski read a book. To be exact, The Dirty Life, by Kristin Kimball. The author had fallen in love with a farmer, and together they’d established a whole-diet CSA program in upstate New York. 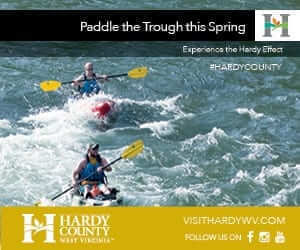 Inspired by this tale, Kwasniewski visited the farm and then decided to do something similar here in West Virginia. He established the Charm Farm in 2012. He and his mother, Pam Kwasniewski, operate the over-400-acre farm outside Elkins. 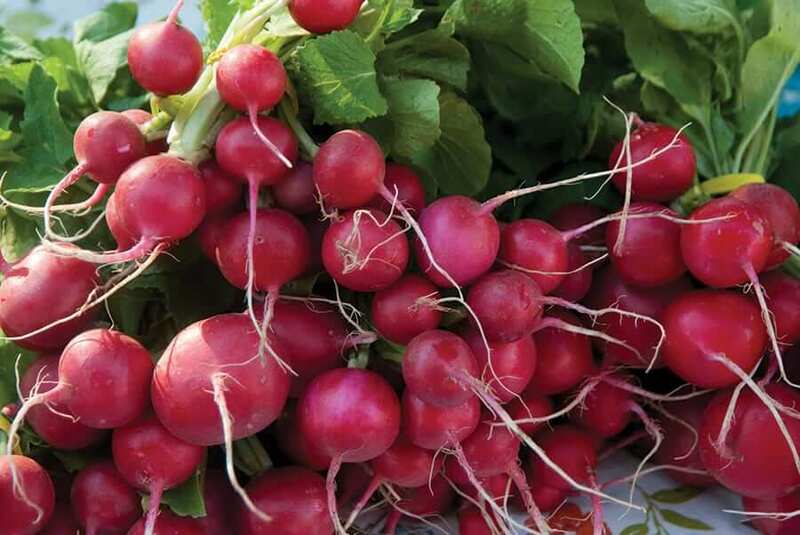 They sell at the Morgantown and Elkins farmers’ markets and run a CSA, and they’re adding a farm stand. Members of the whole-diet CSA have year-round access to a wide variety of vegetables, fruits, fresh bread, dried goods, meat, eggs, maple syrup, and other products weekly in a take-what-you-need system. 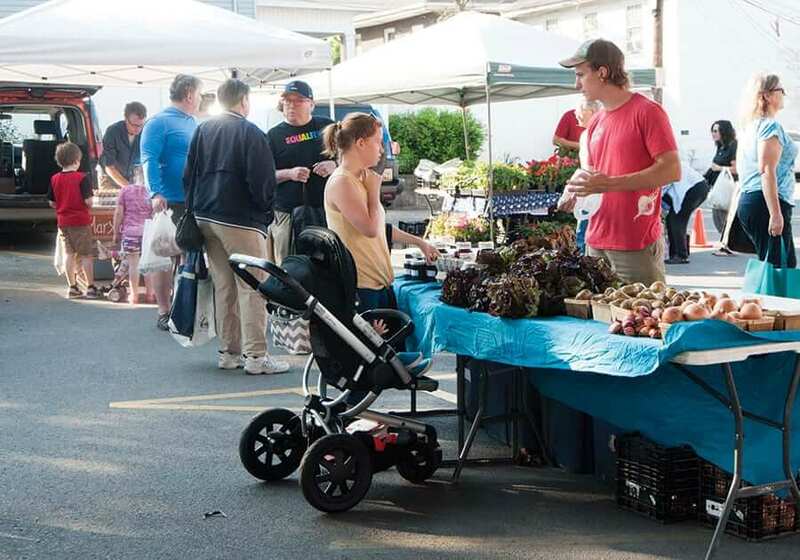 Shoppers at the Morgantown Farmers Market get almost as wide a variety of goods, farm fresh and certified USDA Organic. Because the Kwasniewskis offer a year-round farm share, they use three high tunnels for season extension for early greens and cold storage so they can offer root crops and winter squash during colder months. Farm work goes on just about year-round. In winter, before the growing season gets underway, Kwasniewski partners with Dry Fork Maple Works, tapping trees and boiling sap. This spring the Kwasniewskis built a new barn and started work on a greenhouse and also started all their plants from seed before planting out eight to 10 acres of produce. Through the summer and fall, Kwasniewski cans and preserves some of the food grown on the farm. In their busy schedule of daily farm tasks, including caring for 60 head of cattle and a couple hundred laying hens, the Kwasniewskis find the time to host an annual barn dance. 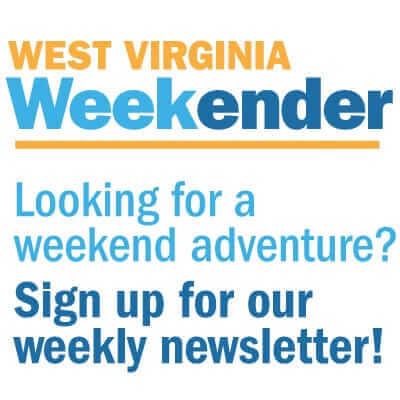 The event, scheduled for June 30 this year, includes a farm fresh dinner and farm tours.